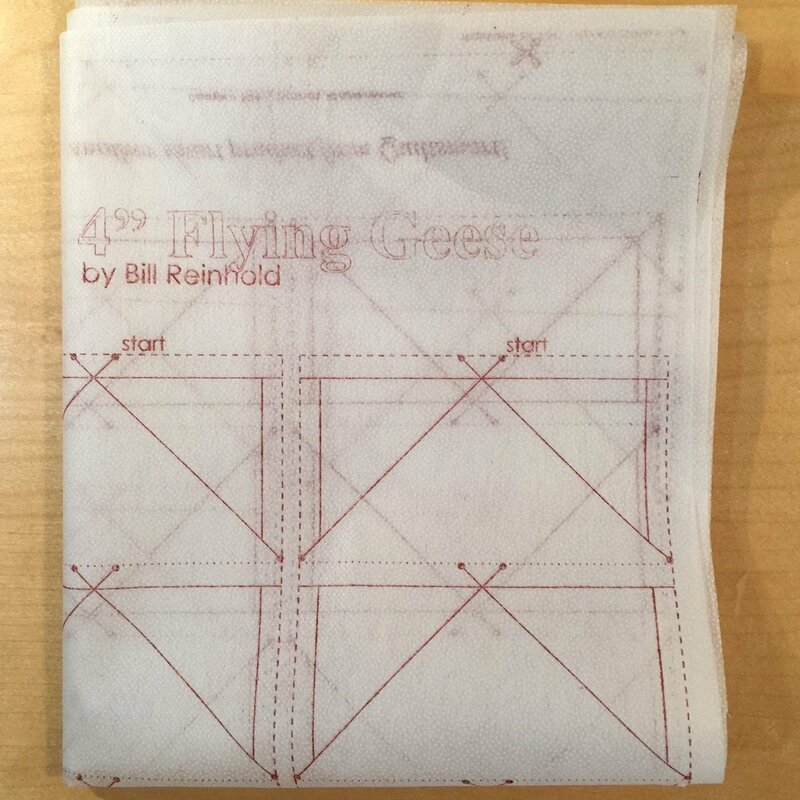 Flying Geese printed interfacing by the panel. Pattern INSTRUCTIONS SOLD SEPARATELY! FIRST TIME USERS - Get the "Pack" first which includes instructions and interfacing! Panels are available separately for more or larger projects. Each panel makes 60 geese - that's a gaggle of geese! Strips can be combined to make up to a 3 and 1/3 yard strip. Use in any 4" finished design. Strip cutting, no small pieces to manage. NOTE: One folded panel shown to the left. PEEK DOWN (Scroll) to see SUGGESTED PRODUCTS! Video available - Click on suggested product below, "Flying Geese Pack".